Jewish-owned mortgage company adopts halachic technicality. Quicken Loans, principally owned by Dan Gilbert, the Jewish owner of the Cleveland Cavaliers, is now kosher for Orthodox borrowers. The company, which also owns the online mortgage agency Rocket Mortgage, announced Friday, June 8, that it had adopted what is known as a heter iska. To get a “kosher” loan from a Jewish lender, or for a Jewish lender to offer a kosher loan, Agudath Israel insisted the parties needed a contract called a heter iska. Agudath Israel is an Orthodox Jewish advocacy group with its U.S. headquarters in Manhattan, N.Y. The organization provides a variety of services to help Jews navigate society while maintaining an Orthodox lifestyle. Services include career training and placement, voter information, legal support, mortgage counseling and end-of-life resources. The organization also runs several summer youth camps. Founded in 1913 in Poland, Agudath Israel came to America in 1922. The organization became involved in politics and community outreach in the 1920s and ’30s. Agudath Israel of America grew with the Orthodox community over the ensuing decades and has branches in 27 states, including an office in Washington, D.C.
Agudath Israel consults with government entities including legislative bodies, the White House and other executive-branch agencies. The group has made waves by opposing the ordaining of women and supporting school-of-choice legislation. It regularly files briefs on a variety of cases in the judiciary. Agudath Isreal hosts Siyum Hashas celebrations, where Orthodox Jews gather to celebrate their heritage, every seven-and-a-half years. The last celebration in 2012 drew nearly 80,000 participants, making it the largest gathering of Orthodox Jews in U.S. history. The event had to be held in the MetLife Stadium in New Jersey to accommodate the crowd. The Torah commands that Jews who have wealth give only interest-free loans to other Jews, and that Jews who need loans take out only interest-free loans from other Jews (Exodus 22:25, Leviticus 25:35, and Deuteronomy 20:19). Detroit’s Hebrew Free Loan puts those commandments into effect every day. Canon Law of the Catholic church and Muslim Sharia law have equivalent rules. These laws protected the typical borrower in the ancient world: someone from the working poor who had run into hard times. It seemed unfair to take advantage of the troubles of the poor and perhaps to ruin their lives further. A different kind of borrower has become more prominent in recent centuries: the commercial debtor. A merchant who needs stock to expand a business, a first-time home buyer, even a king who wants to launch an invasion, all need loans, but it does not seem unfair to charge them interest. Still, the ancient rules prohibited loans at interest. At first, the church used Jews to solve this problem. Christians could not lend at interest to Christians, but Jews could lend at interest to Christians. This gave wealthy Jews a livelihood in Medieval Europe, at considerable personal risk. By the 12th and 13th centuries in Italy and France, prominent Christian families were lending to Christians at interest and, gradually, Church opposition subsided. Observant Muslim and Jewish religious scholars used legal work-arounds to deal with commercial loans. The Jewish version of this work-around, heter iska, operates by recasting the loan as a kind of partnership. 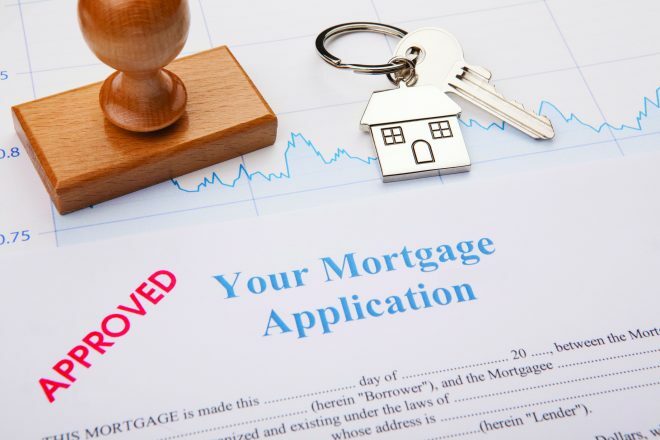 After Quicken Loans’ June 8 announcement, Agudath Israel issued a statement notifying the observant community that the company had adopted a global heter iska covering all mortgages initiated after June 8. The statement went on to say, “On behalf of Torah Jewry across America, we thank Quicken Loans for its sensitivity and devotion to the needs of the community.